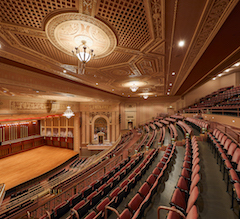 The 1,660-seat Hilbert Circle Theatre and stage area is an outstanding venue for live musical performances of all kinds. The hall, lobbies and Wood Room facility are available for rent during non-performance dates for meetings, seminars, receptions, weddings, concerts, or public/private functions. 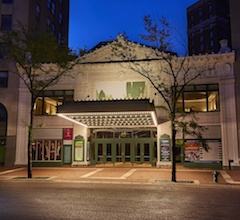 Designed by Indianapolis architects Rubus & Hunter, the theater was built in 1916 in a Neo-Classical Revival style – marked by symmetry, bright colors and simplicity and inspired by the arts of ancient Greece and Rome. 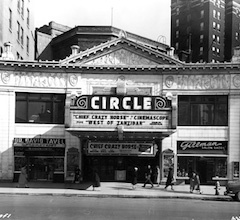 Perfectly situated on Monument Circle, the Hilbert Circle Theatre is one of the most prestigious and historic venues in Indianapolis, and is available for rent on non-performance dates. The unique atmosphere is an ideal venue for unforgettable concerts, weddings, receptions, and meetings. View the Hilbert Circle Theatre photo gallery including all rentable spaces, as well as a video tour. 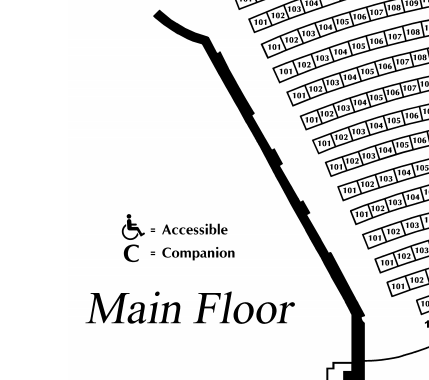 View a seating chart of the theater including the main floor, balcony, and stage terrace.